I think he had it in that one dvd special thingy. I’m curious, is it just the 5 Rangers featured (Super Megaforce/Gokaiger, Ninja Steel/Ninninger, ToQGer, Zyuohger, Kyuranger), or will there be Rangers from other series featured as well? Yea the Battle DVD, I remember seeing it there first. It's cool though that it was brought back for this! There will likely be other Rangers featured since they will be grouped into the other teams. Hey look a possible evil Ryusoulger. Last edited by Darth Gonzo; 01-22-2019 at 12:46 AM..
Oh ok. Will be interesting to see which ones show up then. So Yamato is basically the leader/protagonist. Always thought Marvelous would be the leader. 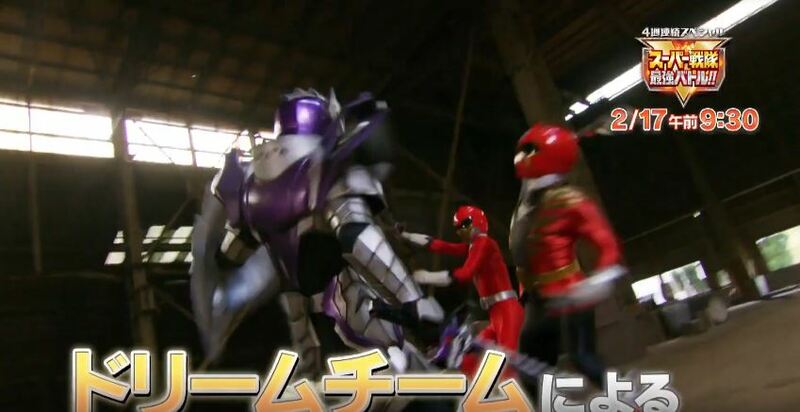 The new ranger looks like Wolzard and Gosei Knight's love child or something.